What Is Water Demineralization and How Does It Work? The following article offers a simple explanation of how demineralization works, what you can expect from an average demineralization system, and what contaminants are typically removed by demineralization technologies. Demineralization is a type of water purification. While it can refer to any treatment process that removes minerals from water, the term demineralization is typically reserved specifically for ion exchange (IX) processes used for near total removal of ionic mineral contaminants. Often, the terms demineralization and deionization are used interchangeably. IX demineralization utilizes both cation and anion exchange resins, sometimes even in the same column or bed. Following demineralization, the treated water will be of a high level of purity comparable to distilled water, but typically at a much lower cost. What’s included in a basic demineralization system? There is some flexibility in the configuration of a demineralization system in order to optimally meet various process conditions and purity goals. In designing a demineralization system, consideration should be given to variability of the feed water, level of purity needed, system footprint, tolerance for ion leakage (in particular sodium and silica), and chemical feed requirements, among other factors. As we’ve said, demineralization typically refers to the removal of dissolved mineral solids through an IX process. But before we get deeper into how demineralization works, we’ll go over the basic principles of an IX reaction. In the presence of water, minerals and salts dissociate into their constituent ions. These dissolved solids consist of negatively-charged ions known as anions, and positively-charged ions known as cations, each of which are attracted to counterions (or ions of an opposing charge). Present within an IX column is a resin which consists of plastic beads to which an ionic functional group has been bound. These functional groups loosely hold ions of an opposing charge through mutual electrostatic attraction. During an active IX cycle, a water with dissolved ions is introduced to the resin. The ions in solution will exchange places with the ions on the resin beads, clinging to the resin’s functional groups even as the resulting solution is drained away. IX happens when one ion has greater affinity for the functional group than the ion that is already present. The specific ionic contaminants present will dictate whether anionic and/or cationic resin types are needed. In a typical IX reaction, the exchange of ions simply results in the replacement of contaminant ions with other, less objectionable, ions. In an IX sodium softening system, for example, the objective is to remove hardness ions (e.g. Ca2+ or Mg2+) from solution by replacing them with sodium ions (Na+). As a result, the treated solution will have little to no hardness, but it will contain a greater concentration of sodium ions. While this is acceptable for many applications, some processes demand near total removal of dissolved solids. That’s where demineralization comes in. In demineralization, cations in the feed water are exchanged for hydrogen (H+) ions and cations are exchanged for hydroxyl (OH–) ions. The result is water: H+ + OH-OH → H2O. In general, demineralization IX systems are available in either two-bed or mixed-bed configurations, as detailed below. Two-bed or dual bed exchangers use two or more IX resin beds or columns are used to treat a stream, each containing a specific type of IX resin. In two-bed demineralization, a stream is first treated with a strong acid cation (SAC) resin that captures the dissolved cations, and releases hydrogen (H+) ions in exchange. The resulting mineral acid solution is then routed to the strong base anion (SBA) resin bed. This second step sequesters the anionic contaminants while releasing hydroxide (OH–) ions, which combine with the existing hydrogen ions (H+) to form water. The resulting stream is low in TDS and has a nearly neutral pH. 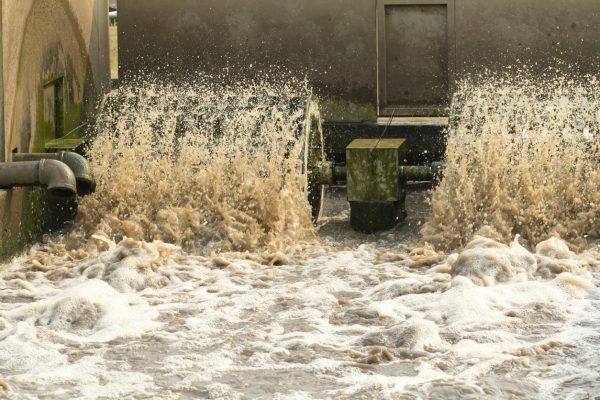 While two-bed exchangers are effective for demineralization, sodium leakage can affect the quality of their output, especially for streams with high TDS and/or low pH. Mixed-bed exchangers offer a higher water quality compared to twin-bed systems. Mixed-bed ion exchangers hold a mixture of different IX resins housed within a single IX column. When a stream is introduced to the unit, the cation and anion exchange reactions take place simultaneously within the unit, which has the effect of addressing the sodium leakage issues that can compromise the quality of water produced by a twin-bed IX system. While mixed-bed exchangers produce higher quality water, they also require a more involved resin regeneration process. Additionally, mixed-bed units are more susceptible to resin fouling and/or inferior system function due to fluctuations in stream contents, and are therefore typically used downstream of other treatment measures. What contaminants does demineralization remove? Demineralization generally results in almost complete removal of minerals, and is thus typically reserved for applications requiring higher level of water purity, such as feed or makeup water for high pressure boilers, rinse water for food and beverage industries, or process streams used in electronics manufacture, for example. For fresh water applications, demineralization can be a good alternative to distillation, as it is capable of producing water similar in quality to distilled water, but through a more cost-effective ion exchange process. SAMCO has over 40 years’ experience in identifying appropriate demineralization technologies to help lower costs and waste volumes while increasing product quality. For more information or to get in touch, contact us here to set up a consultation with an engineer or request a quote. We can walk you through the steps for developing the proper solution and realistic cost for your demineralization treatment system needs. To learn more about SAMCO’s innovative technologies for hardness and dissolved solids removal, visit our page on demineralization and ultrapure water treatment solutions here. How Much Does a Water Demineralization System Cost for Your Plant? 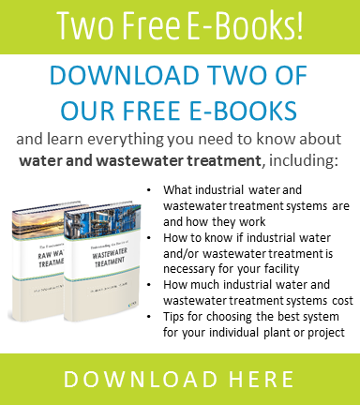 What Is the Best Way to Demineralize Industrial Process Water? What Are the Properties of Demineralized Water and How Can It Benefit Your Plant? What are the Best Demineralization System Equipment and Supply Companies? What is the Difference between Demineralized, Deionized, and Distilled Water?